Need help navigating KERX earnings? Midway through trading Thursday, the Dow traded down 0.15 percent to 17,762.75 while the NASDAQ declined 0.11 percent to 4,946.68. The S&P also fell, dropping 0.20 percent to 2,095.20. Thursday morning, the healthcare sector proved to be a source of strength for the market. Leading the sector was strength from Keryx Biopharmaceuticals (NASDAQ: KERX) and Rockwell Medical Inc (NASDAQ: RMTI). In trading on Thursday, utilities shares fell by 0.75 percent. Meanwhile, top losers in the sector included Genie Energy Ltd (NYSE: GNE), down 5 percent, and Consolidated Water Co. Ltd. (NASDAQ: CWCO), down 2 percent. Joy Global Inc. (NYSE: JOY) reported stronger-than-expected Q2 earnings. However, its revenue failed to meet the Street analysts' estimations. Joy Global reported a net loss of $15.3 million or a loss of $0.16 a share for the second quarter compared to net income of $55.9 million or $0.57 a share in the year-ago quarter. On an adjusted basis, earnings from continuing operations plunged to $0.09 a share from $0.64 a share in the previous year quarter. Street analysts' expected the company to report break-even per share. The company's net sales dropped 26 percent to $602 million from $810 million in the year earlier quarter. Street predicted the company to generate revenue of $607.72 million. Going forward, the company expects sales and earnings for the year excluding restructuring charges and mark-to-market pension adjustments to be at the lower end of its earlier forecasted range of $2.4-$2.6 billion for sales and $0.10 to $0.50 for adjusted earnings per fully diluted share. Achaogen Inc (NASDAQ: AKAO) shares shot up 33 percent to $4.24. Achaogen raised $25 million in private placement and has been awarded a $20 million contract option by the BARDA to support the development of plazomicin. The company also disclosed that it achieved more than 50 percent patient enrollment in its ongoing final stage EPIC registration clinical trial of plazomicin. Shares of Repros Therapeutics Inc (NASDAQ: RPRX) got a boost, shooting up 17 percent to $1.97 after reporting success of its Enclomiphene drug to treat secondary hypogonadism. The Drug is on track for registration decision in Fall 2017. Eleven Biotherapeutics Inc (NASDAQ: EBIO) shares were also up, gaining 29 percent to $1.70 as the company reported that it has regained NASDAQ Listing compliance. Conn's Inc (NASDAQ: CONN) shares dropped 23 percent to $9.03 as the company reported downbeat quarterly results. Conn's posted a Q1 loss of $0.31 per share on revenue of $389.1 million. Shares of DeVry Education Group Inc (NYSE: DV) were down 14 percent to $15.61. DeVry Education named Patrick Unzicker as its Chief Financial Officer. Credit Suisse downgraded DeVry from Outperform to Neutral and lowered the price target from $25.00 to $17.00. American Woodmark Corporation (NASDAQ: AMWD) was down, falling around 13 percent to $70.39 as the company reported weaker-than-expected quarterly earnings. In commodity news, oil traded down 0.57 percent to $48.73 while gold traded down 0.21 percent to $1,212.10. Silver traded up 0.33 percent Thursday to $15.98, while copper fell 0.31 percent to $2.07. European shares were mostly higher today. The eurozone's STOXX 600 gained 0.25 percent, the Spanish Ibex Index rose 0.76 percent, while Italy's FTSE MIB Index gained 0.04 percent. Meanwhile the German DAX gained 0.09 percent, and the French CAC 40 declined 0.17 percent, while U.K. shares rose 0.01 percent. U.S. initial jobless claims slipped 1,000 to 267,000 in the recent week. However, economists were projecting claims to reach 2.70,000 in the week. Private-sector employers added 173,000 jobs in May, according to the Automatic Data Processing Inc. However, economists were expecting a gain of 175,000 jobs. U.S. crude supplies dropped 1.4 million barrels for the week ended May 27, the U.S. Energy Information Administration reported. However, analysts estimated a decline of 3.1 million barrels. Gasoline supplies slipped 1.5 million barrels, while distillate stockpiles dropped 1.3 million barrels last week. 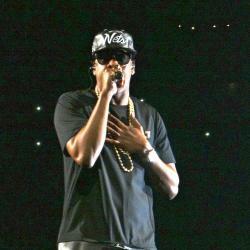 Did Deutsche Bank Help Jay Z Hide His Drug Money?